During the summer months, especially during periods of good weather, street racing becomes more common on the roads of North Carolina. And with increased “fast-and-furious” flexing of horsepower, comes law enforcement crackdowns, arrests, license revocations, and legal problems. If you or someone you love is facing these types of charges, we’re here to help. We’ll explain what can be a complicated legal system, court dates, and the ramifications of even being charged. We’ll also take the time to review with you the possible consequences, which includes punishments, fines, penalties, and long-term results of a conviction. We will also take the time to discuss your legal options, which may include a trial, preparation of motions, and plea negotiations. 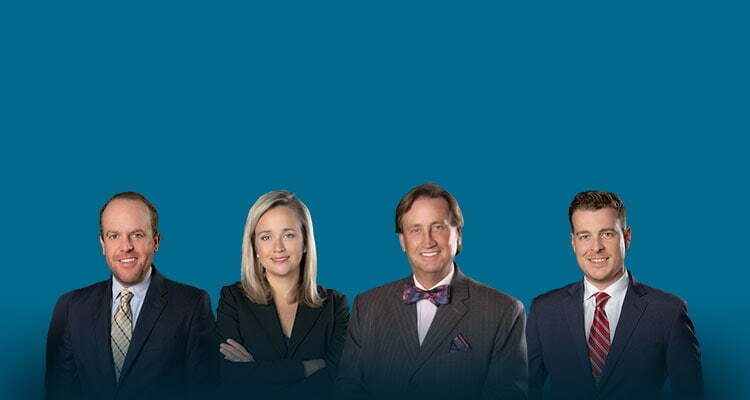 Our consultations for Criminal Defense and Traffic matters are always free. They are also always confidential. We believe the best decisions are made after reviewing all the facts available, the law, and interviewing both clients and witnesses. The point of retaining legal counsel is understand how the legal system works, the logic behind the law, and the application of the laws or statutes in your particular matter. We’ll give you an honest opinion...and advice about what we believe should be done and how your case should be handled in Court. What does it mean to be Charged or Arrested for Street Racing? Your individual perception likely is related to your generation. Are you from the James Dean era? Do you envision two hotrods racing for pink slips, a lonely stretch of highway, and the dropping of a bandana or scarf to begin the race? May you think of a Speed Competition as a good-old-fashioned “drag race” on a flat, straight piece of road in the middle of nowhere. You’re right, that is illegal street racing. Or do you think about souped up, high performance street racers, with nitrous oxide, specialty spoilers, neon under-lighting, fuel injectors and crowds of people scattered across a course that runs through a city? That too is illegal street racing. Illegal Street Racing isn’t just a problem on the back roads of North Carolina. It can take place on crowded streets uptown Charlotte, with only revving of engines at a red light, some squealed tires, but relatively low top speeds. It’s more than just 50’s Soda Shop Drag Racing or even 2 Fast, 2 Furious tight cornering and driving skills nowadays. Speed Competitions may involve a pre-selected course or path; but, that isn’t required for charges to be brought. It can be planned. It can also be spontaneous. 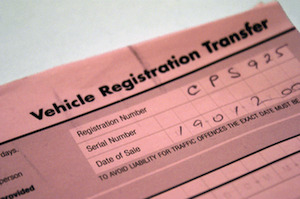 It can be between cars or trucks or motorcycles or “vehicles” defined by the North Carolina General Assembly. As you can likely now tell, the law is written generally, with a fair amount of room for inclusion, for good reason: It gives law enforcement and the State the opportunity to prosecute a wide range of different illegal activities. While it may be enticing to watch on a silver screen at a theater or on TV in the comfort of your own home, the Courts see the reality of Street Racing: Taken and all-too-often Ruined Lives. It may seem harmless, maybe a youthful indiscretion...that’s until the blue lights go on and the handcuffs are secured. That’s one of the reasons why the penalties for Illegal Street Racing are so stiff. If you or a loved one has been charged or arrested, you really should seek legal counsel without delay. 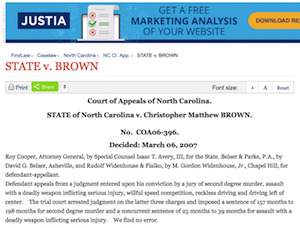 Make no mistake, law enforcement in North Carolina are committed to aggressive enforcement of the “Unlawful Racing” laws. As our state has grown, so have the number of traffic related fatalities due to excessive speeds and racing. Indeed, the cars today are just plain faster than they used to be. The uber-committed street racers can get off-the-shelf supercharges, on-board control module chips, and other performance enhancing parts. Combined with more vehicles on the roadways, that makes for a potentially dangerous, if not deadly, recipe for disaster. If you tried to “run” or otherwise evade law enforcement after racing, you probably now know Law Enforcement have pretty fast cars and motorcycles to catch you. And they’re allowed to speed to catch you. They’ve received specialized training and equipment to enforce the law. 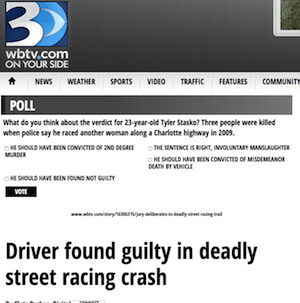 What are the Penalties for Street Racing in North Carolina? 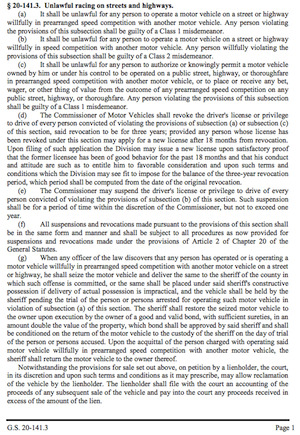 Street racing can also result in the Court confiscating a street racer’s vehicle. And it isn’t hard to understand that both insurance points and motor vehicle points carry long term consequences. 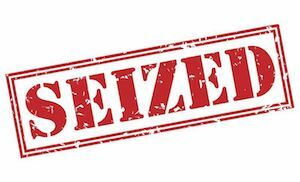 Can they really seize my car? What if I don’t own the vehicle? Yes they can. Yes they can seize the vehicle. Under certain circumstances, they have to under the law. There may be the opportunity for the lien-holder to reclaim the vehicle; but, that normally means the bank or the financing company gets the vehicle back to cut their losses. Even if that happens, you may still end up owing a LOT of money to the bank. It most certainly will charge you the costs associated with obtaining and towing the vehicle, legal fees, storage fees, and possibly the costs of selling it at auction. The numbers rarely work out to the benefit of the person who owes the bank the money. 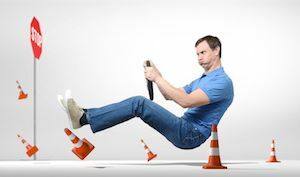 If racing or motorists illegal speed competition proximately causes the death of another, the accused may be prosecuted for involuntary manslaughter, and depending on the factual basis, may even be tried for Second Degree Murder. MORE INFO: Can someone be charged with manslaughter for speeding? Excessive Speeding and Street Racing have the potential to bring about consequences, in addition to being arrested, seizure of vehicle, loss of license, and higher insurance costs. While it may not always seem fair, sometimes the law is harshly because of what COULD have happened. No one expects to kill someone as a result of a speed competition. In that cases we have helped people with over the years, we have yet to come across a client who wanted to hurt someone when driving. Law Enforcement, Judges, Prosecutors, and frankly, the general public are not terribly sympathetic to people charged and convicted of Illegal Street Racing. That likely is because we have see all-too-frequently the adverse consequences of racing. It may look cool on TV or in the movies; but, in real life, there is a terribly high correlation between racing, high speeds, and fatalities. That is even more true when alcohol or other impairing substances are involved. It makes sense to talk with an experienced attorney if you or a loved one is facing criminal charges like a Speed Competition. The lawyers with Powers Law Firm, pllc are experienced handling a wide range of traffic violations. 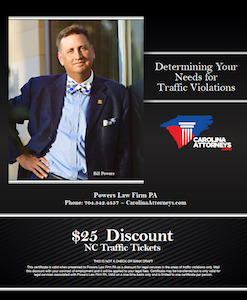 Powers Law Firm stands ready to provide advice those who have been accused of street racing on the streets of Charlotte-Metro region and throughout North Carolina. Hey, this is Bill Powers, and I want to thank you for checking out our web page, regarding illegal street racing, or sometimes referred to as prearranged or spontaneous racing. Not to be sexist, but chances are you’re male. Chances are, you are younger. I’d say younger, meaning under 28. And chances are, you do not understand how serious these charges are. Prearranged speed competition, where y’all plan to race, you’ve got your spoiler on the back of your car, and you’ve got your little dials up on the left, and maybe you’ve got some nitrous oxide, the 2 Fast 2 Furious, everyone thinks that’s great. You’re going around corners and racing one another. Well, a lot of people don’t realize two things can happen. One, you’re gonna lose your driver’s license for an extended period of time and may not be eligible for any type of administrative or relief by the court. And two, you may lose that really cool car. That car may be seized. And we’ve had cases with people where they’re driving dad’s car, mom’s, you know, expensive Mercedes, they’re out of town for the weekend, got a hot rod, a Ferrari, they do this and all of a sudden the car is seized. Boy, that’s … I don’t care if you’re driving a $500 Honda, you don’t want to give up your car to the state for something like that. Spontaneous speed competition, very serious as well. Carries with it some pretty heavy penalties both in court and DMV. And people are … When they go to court, and they … We sometimes see these after the fact … They are blown away at how mad everybody is. These kind of cases also tend to involve other charges, such as flee to elude, failure to heed blue light siren, resist obstruct arrest, reckless driving, crossing a center line, failure to maintain lane control, driving while impaired … It’s not just the Fast and Furious people who have really cool cars, it could be people who aren’t exercising good decisions. And by the way, it happens to more than just males or just certain males at certain age groups. I say a bit tongue-in-cheek, but that tends to be the metric we see more than anything. Give us a call. 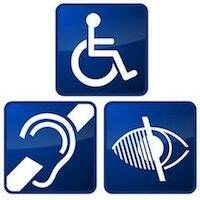 Consultation is free. We’ll tell you whether we think we can help you out. This is one of those type of offenses that … You’d be hard-pressed for me to tell you that it’d be a good idea to show up by yourself. Obviously, you can always represent yourself in court. I just don’t think that it’s a good idea on these type of charges. So, give us a ring. (704) 324-HELP. That’s what we do is we help people. That’s our telephone number. And I look forward to hearing from you.